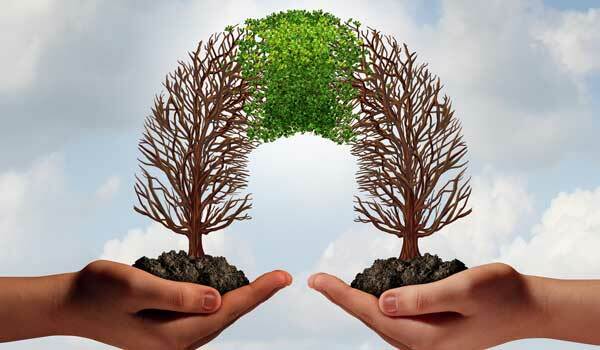 Average quotations were 292 points higher than the previous week, according to the USDA, Agricultural Marketing Service’s Cotton and Tobacco Program. Quotations for the base quality of cotton (color 41, leaf 4, staple 34, mike 35-36 and 43-49, strength 27.0-28.9, uniformity 81.0-81.9) in the seven designated markets averaged 83.34 cents per pound for the week ending Thursday, July 12, 2018. The weekly average was up from 80.42 last week and from 65.52 cents reported the corresponding period a year ago. Daily average quotations ranged from a low of 81.74 cents Wednesday, July 11 to a high of 85.67 cents Thursday, July 12. 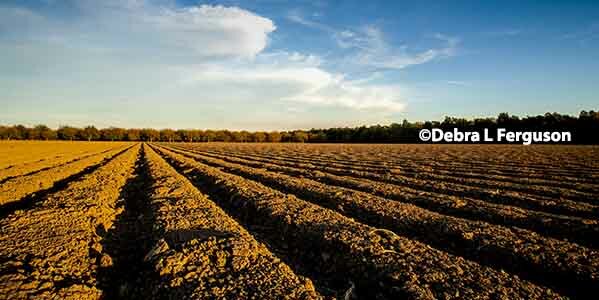 Spot transactions reported in the Daily Spot Cotton Quotations for the week ended July 12 totaled 8,353 bales. This compares to 2,460 bales reported last week and 239 spot transactions reported the corresponding week a year ago. Total spot transactions for the season were 2,056,439 bales compared to 1,564,064 bales the corresponding week a year ago. The ICE October settlement prices ended the week at 89.24 cents, compared to 82.71 cents last week. The Department of Agriculture’s Commodity Credit Corporation announced a special import quota for upland cotton that permits importation of a quantity of upland cotton equal to one week’s domestic mill use. The quota will be established on July 19, 2018, allowing importation of 13,673,800 kilograms (62,803 bales) of upland cotton. Quota number 12 will be established as of July 19, 2018, and will apply to upland cotton purchased not later than October 16, 2018, and entered into the U.S. not later than January 14, 2019. The quota is equivalent to one week’s consumption of cotton by domestic mills at the seasonally-adjusted average rate for the period March 2018 through May 2018, the most recent three months for which data are available. Spot cotton trading was inactive. Supplies and producer offerings were light. Demand was moderate. Average local spot prices were higher. Trading of CCC-loan equities was inactive. Seasonably hot and muggy conditions dominated the weather pattern across the lower Southeast with daytime high temperatures in the upper 80s to mid-90s. Afternoon pop-up thundershowers blanketed areas throughout north and south Alabama, the Florida Panhandle, and portions of south Georgia during the period. Weekly accumulated rainfall totals measured from one-half of an inch to two inches, and in some areas locally heavy downpours delivered heavy amounts of moisture in short periods of time. Wet conditions hindered spraying and interrupted fieldwork in some locales. In between rain events, producers made fungicidal applications and treated fields with insecticides that met threshold limits. Many counties missed significant precipitation despite the widespread rainfall, but most of the lower Southeast remained drought-free, according to the U.S. Drought Monitor. 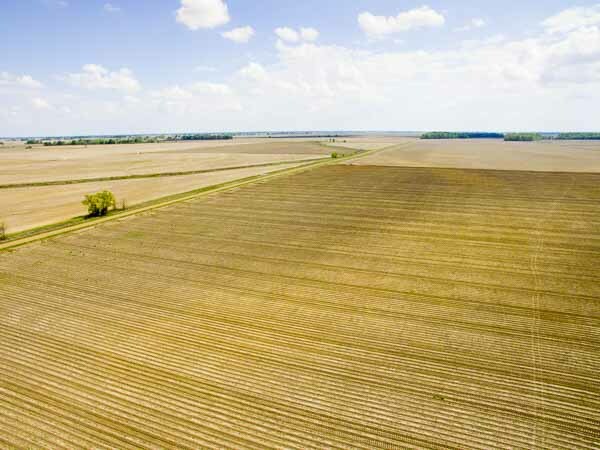 According to the National Agricultural Statistics Service’s (NASS) Crop Progress report released July 9, squaring advanced slightly ahead of the five-year average in Georgia, but lagged behind 9 points in Alabama; boll-setting advanced at a good pace. Fair to partly cloudy weather conditions prevailed throughout the Carolinas and Virginia during the period with daytime high temperatures in the upper 80s to upper 90s. Light variable rainfall was received in portions of the central Carolinas and Virginia. Weekly accumulated rainfall totals measured around one-quarter to one-half of an inch, with slightly heavier accumulations observed in localized areas. The crop progressed well under the seasonably hot and muggy conditions. Spider mites were present at treatable levels in some droughty cotton; pressure was light in wetter areas. Aphid populations were building in fields across the upper Southeast. Producers scouted fields for tarnished plant bugs (TPB); the Environmental Protection Agency has granted a Section 18 Emergency Exemption for Transform WG insecticide in North Carolina and certain counties in Alabama for control of TPB in cotton. 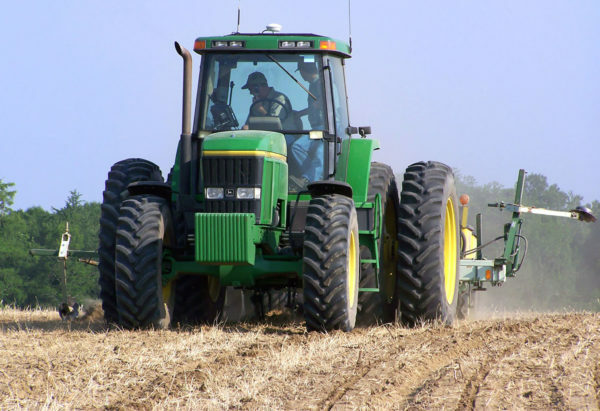 According to the NASS Crop Progress report released July 9, squaring advanced slightly ahead of the five-year average in North Carolina and Virginia, but lagged 4 points behind in South Carolina; boll-setting was getting underway. Demand was good for 2018-crop cotton, color 41, leaf 4, and staple 34 and longer for December 2018 through first quarter 2019 delivery. No sales were reported; most mills have covered their immediate to nearby raw cotton needs. Most mills operated five to seven days. Load out dates at most warehouses were reported at eight to ten weeks. Demand through export channels was moderate. Demand was good throughout the Far East for any discounted or low-grade styles of cotton. A light volume of mostly color 31 and 41, leaf 2-4, staple 32-34, mike 42-51, strength 24-30, and uniformity 79-83 sold for around 78.00 cents per pound, FOB car/truck (Rule 5, compression charges paid). The crop made good progress under hot temperatures. Daytime high temperatures were in the mid-90s; heat indexes as high as 103 degrees prompted the National Weather Service to issue regional heat advisories. Overnight lows were in the low 70s. A series of thunder showers provided light amounts of beneficial precipitation to some cotton-producing areas of the region; areas of abnormal dryness were eliminated in Tennessee, according to the U.S. Drought Monitor. However, areas of abnormally dry-to-moderate drought conditions expanded in central Arkansas. 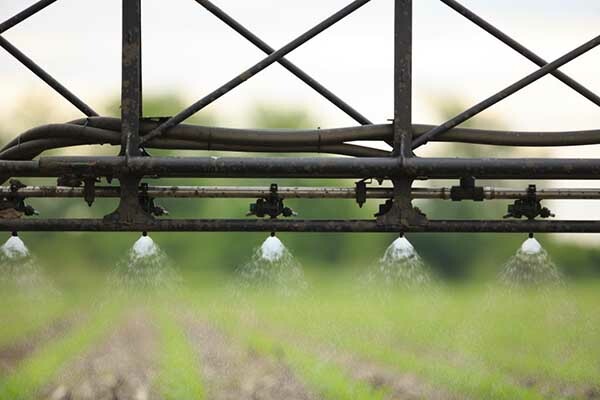 Producers were irrigating to maintain adequate soil moisture levels, which generally existed in Missouri. Insect pressure from plant and stink bugs was heavy in some areas. Fields were treated as necessary. Fields in drier areas were also treated for spider mites. The hot weather and adequate moisture have required the application of plant growth regulators in many places. Squaring expanded rapidly and remained about a week ahead of the five-year average throughout the region. Blooming was widespread and ahead of normal in all areas. The crop made good progress under hot weather conditions. Daytime high temperatures were in the mid-90s. Overnight temperatures were in the low 70s. Widely scattered storm systems brought approximately 2 inches of beneficial precipitation to some cotton-producing areas of the region. Dryland cotton has begun to cut-out. Insect pressure from plant bugs and aphids was reported in some fields which were treated as necessary to control infestations. Plant growth regulators were being widely applied, particularly in areas where the crop is progressing rapidly. Squaring was virtually completed and blooming was widespread. According to the U.S. Drought Monitor, abnormally dry-to-moderate drought conditions existed throughout Louisiana; Mississippi was abnormally dry. Spot cotton trading was slow. Supplies and demand were light. Average local spot prices were higher. No forward contracting or domestic mill activity was reported. Trading of CCC-loan equities was inactive. Foreign inquiries were light and mostly for new-crop price discovery. Mills remained on the sidelines as ICE futures trended lower, but trended higher as the week progressed. Merchants reported mill interest for Australian and Brazilian cotton. Overall, market conditions reflected the typical summer pattern. Scattered showers early in the reporting period disrupted on-going defoliation activities in the Coastal Bend and Rio Grande Valley (RGV). Some locales received one-quarter of an inch to one and one-half inches. Some fields were too soggy to support equipment. Recent rainfall was beneficial to the Upper Coast crop. Mostly clear, sunny skies dominated the weather pattern in the Coastal Bend, RGV, and Upper Coast mid-week. Defoliation was expected to ramp up late in the period in the Coastal Bend and RGV. A few fields will be ready to harvest next week. Initial ginning was expected to begin late next week. Local sources reported the Kansas crop appeared to be slightly behind schedule, maybe due to damage from wind and hail early in the growing season. The crop in eastern Kansas was in good shape. In Oklahoma, dryland acreage in western Oklahoma is struggling under intense drought conditions. 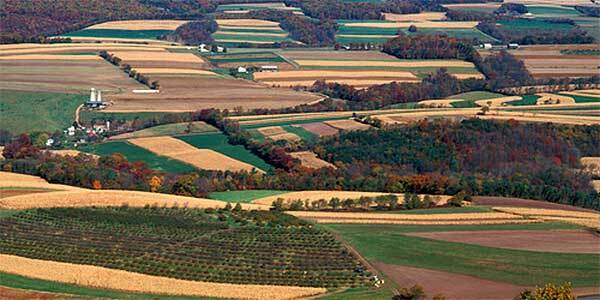 Rainfall is desperately needed to help the crop flourish. Local experts reported that the Lugert-Altus Irrigation district could not provide a full irrigation schedule, due to low water levels. Extension crop specialists promoted proper use of weed and pesticide control products. A few situations of herbicide/pesticide drift were reported. 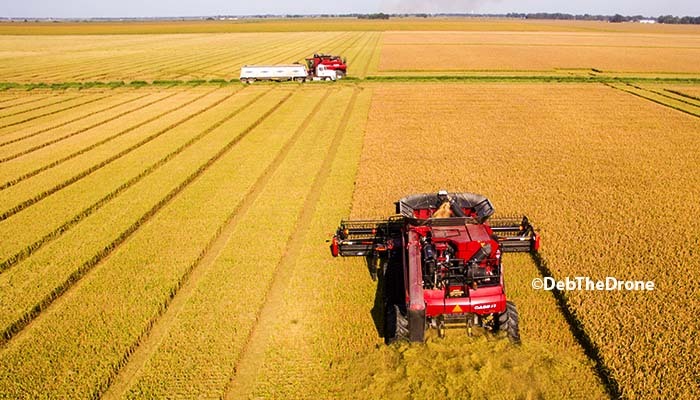 Overall, the crop continued to progress in Oklahoma. Warehouses in Oklahoma and Kansas continued to receive and ship cotton. Spot cotton trading was inactive. Supplies and producer offerings were light. Demand was light. Average local spot prices were higher. A light volume of forward contracting was reported. No domestic mill activity was reported. Trading of CCC-loan equities was inactive. Foreign inquiries were light. Mills remained on the sidelines as ICE futures trended lower, but trended higher as the week progressed. Overall, market conditions reflected the typical summer pattern. Hot, dry conditions continued for the west Texas region. Temperatures were in the low 90s for most of west Texas. Scattered showers brought one-third of an inch of moisture early in the period. Heat and strong winds depleted topsoil moisture almost as rapidly as it was received. Dryland acreage continue to struggle for lack of moisture. Irrigated acreage made good progress. Local sources reported that the industry was waiting to hear about final abandonment numbers. Extension crop specialists promoted proper use of weed control products. In Kansas, a light volume of mostly color 31 and 32, leaf 3 and better, staple 34 and 35, mike 32-34, strength averaging 28.9, uniformity averaging 79.6, and 50 percent extraneous matter sold for around 68.00 cents per pound, FOB car/truck (compression charges not paid). A light volume of mostly color 32 and 33, leaf 3 and better, staple 33 and 34, mike 31-37, strength averaging 28.1, uniformity averaging 79.3, and 25 percent extraneous matter sold for around 64.00 cents, same terms as above. In Oklahoma, a light volume of color 21 and 31, leaf 3 and better, staple 36 and 37, mike averaging 32.0, strength averaging 29.4, and uniformity averaging 80.5 sold for around 73.00 cents, same terms as above. A mixed lot containing a light volume of mostly color 33, leaf 3 and better, staple 33-35, mike 36-41, strength averaging 26.7, uniformity averaging 79.9, and 75 percent extraneous matter sold for around 64.50 cents, same terms as above. A light volume of color 33, leaf 2 and better, staple 33-37, mike 37-40, strength averaging 29.4, uniformity averaging 80.4, and 25 percent bark traded for around 60.00 cents, same terms as above. Monsoon activity lowered temperatures from the high 110s to low 100s early in the period. Rainfall accumulations were around one-quarter of an inch to just over one-half of an inch in western and central Arizona. Monsoons produced thunderstorms and strong winds throughout Arizona. Strong winds knocked a few bolls off in Yuma, but no serious damage was reported. The Yuma crop was past peak bloom and boll-setting advanced. A flash flood advisory for the Gila River was in effect as heavy rainfall and run off in higher elevations threatened communities near Safford. Spot cotton trading was inactive. Supplies and demand were light. Average local spot prices were higher. No forward contracting or domestic mill activity was reported. Foreign mill inquiries were light in a typical summer pattern. Triple-digit temperatures in the low 100s prevailed. No moisture was recorded in the period. Fields were blooming. Local experts reported the crop was in good condition and little to no insect pressure. Spot cotton trading was inactive. Supplies and demand were light. Average local spot prices were steady. No forward contracting or domestic mill activity was reported. Foreign mill inquiries were light. The crop continued to make good progress under hot and mostly dry conditions. Arizona, New Mexico, and El Paso, Texas received monsoon moisture of around one-quarter of an inch up to one-half of an inch. The moisture was welcomed in drought parched areas of New Mexico. Strong winds and heavy downpours created hazardous driving conditions. Light wind damage was reported in some Yuma, Arizona fields. Yuma fields were past peak bloom. Boll-setting and retention was good. Blooming gained momentum in the San Joaquin Valley.